The daily work commute is perhaps one of the most dreaded experiences we all share. 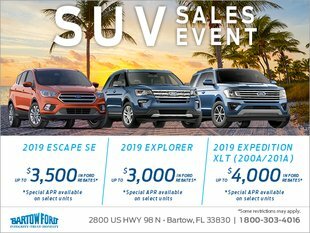 Today, Bartow Ford is talking about the measures Ford has already taken to improve our current commutes and providing details that point to a much better commute in the future. Ford has taken serious measures to improve our commute by implementing tons of technology into their vehicles. These technology advancements make each vehicle safer, thus reducing accidents, which is a substantial reason as to why our daily drives are delayed. Their smart assistive braking technology is a predictive system that aids in collision prevention with the use of cameras and sensors now equipped on Ford vehicles. Ford is also helping drivers have a more enjoyable, and safer, commute with the help of SYNC 3. Customers equipped with a SYNC 3 infotainment system can take advantage of the myriad features that make driving easier, particularly the ability to connect their phones through Apple CarPlay or Android Auto. When connected, drivers can make and respond to phone calls, text messages, and navigation requests all through voice-activated commands. That means no more looking at your phone to control it, so your eyes remain focused on the road. 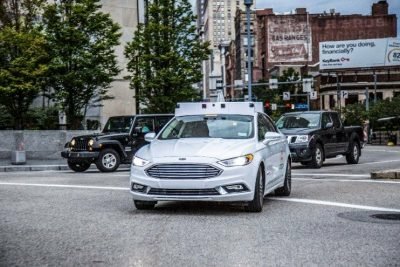 In the future, Ford is aiming to develop an expansive integrated network of self-driving vehicles that are set to revolutionize commutes as we currently know them. For more information on how Ford is working to get a world with less traffic watch the below video. Smarter cars and roads will make traffic a thing of the past. By utilizing as much technology and engineering prowess as possible, Ford has made our daily driving routine enjoyable. Bartow Ford has been servicing Ford Winter Haven vehicles for more than 60 years. We’re conveniently located on 2800 US HWY 98 North and are open Monday through Saturday. We'd love the opportunity to prove to you we're different from our competitors. Don't go the wrong way; let us be your dealership of choice to service your vehicle or perhaps purchase a new one! Have additional questions? Give us a call at 1-800-303-4016 or contact us by sending us a message online.